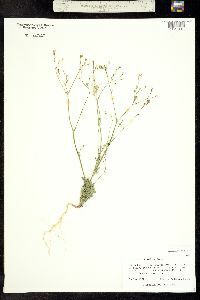 PLANT: Annual, 8-30 cm tall, branched throughout; stems cobwebby pubescent below, glandular above. 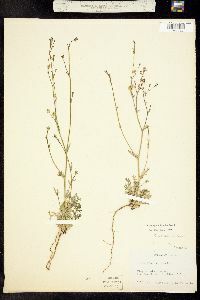 LEAVES: cobwebby pubescent, reduced above the basal rosette; basal and lower leaves deeply lobed once or twice; cauline basally lobed or entire. 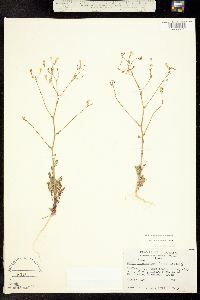 INFLORESCENCE: open, with 1-2 pedicelled flowers at the branch tips. 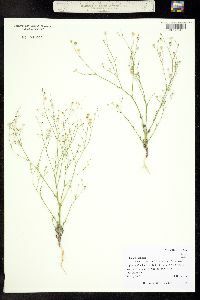 FLOWERS: calyx 3-5 mm long, glabrous, the lobes acuminate; corolla funnelform, 7-12 mm long, the tube usually exserted, purple, the throat yellow, the lobes pink; stamens inserted on the throat; anthers exserted; stigma located among the anthers. CAPSULE: 4-6 mm long, ovoid to subglobose. 2n=36. NOTES: Open sites, shrublands, woodlands; Apache, Coconino, Gila, Greenlee, Mohave, Navajo, Yavapai cos; 1000-2150 m (3200-7000 ft); Apr-Jun; se CA to UT, s to AZ and NM. 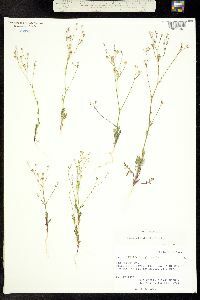 REFERENCES: Dieter H. Wilken and J. 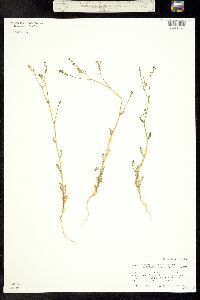 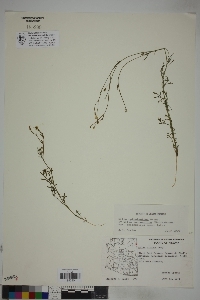 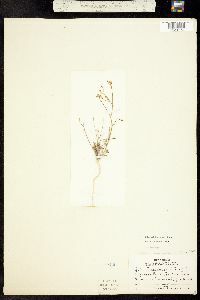 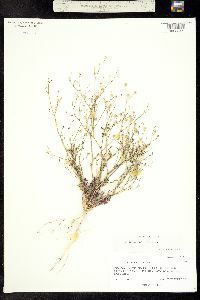 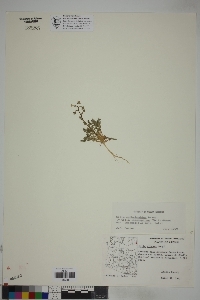 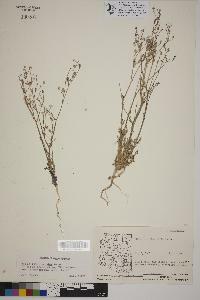 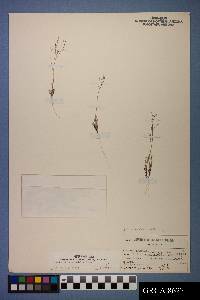 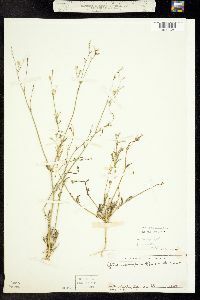 Mark Porter, 2005, Vascular Plants of Arizona: Polemoniaceae. CANOTIA 1: 1-37. 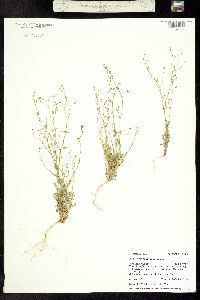 Duration: Annual Nativity: Native Lifeform: Forb/Herb General: Herbaceous annuals, to 30 cm tall, stems suberect and branching, densely tufted-woolly-hairy below middle, glandular above. 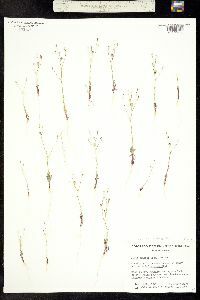 Leaves: Alternate, lower blades in a basal rosette, cauline 1-2-pinnate-lobed, lobes spreading on linear axis, generally toothed or lobed on both sides, surfaces densely tufted-woolly-hairy. 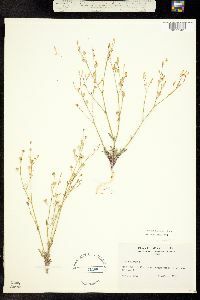 Flowers: Pink, corollas with 3-4 open and spreading, acute-tipped lobes, corollas 7-12 mm long, the lobes 1-3 mm long, the tube slender, purple, the throat bright yellow, narrow, long-tapered, longer than or equal to the length of the lobes, calyx glabrous, with reddish, acuminate lobes, 2.5-4.5 mm long overall, stamens and styles exserted, flowers 1-many in branch axils, borne on thread-like, unequal pedicels. Fruits: Ovoid capsules 4-6.5 mm long with detaching valves. Seeds 6-12, yellow to brown and gelatinous when wet. 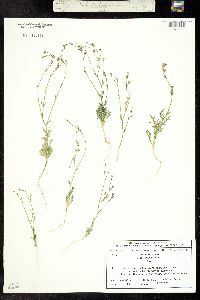 Ecology: Found on rocky soil, in open areas and pinyon/juniper woodland communities, from 3,500-8,500 ft (1067-2591 m); flowering May-June. 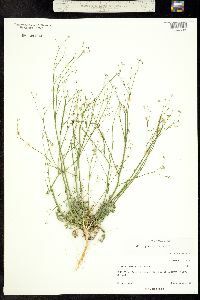 Distribution: Arizona, California, Colorado, Nevada, New Mexico, Utah, Wyoming. 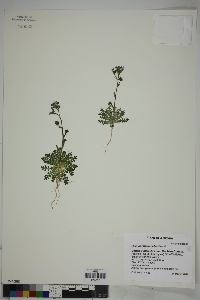 Notes: This small, pink gilia tends to have small clusters of flowers at stem tips, the pedicels slender and thread-like. 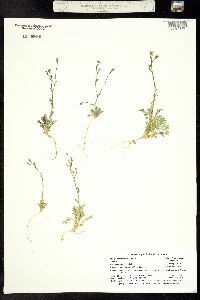 This species is not treated in older versions of Kearney and Peebles. 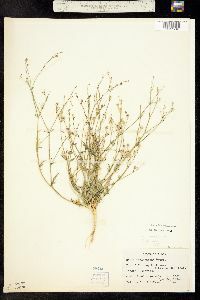 Ethnobotany: Specific uses for this species are unknown, but other species in the genus have uses; plant used for wounds, cuts or sores, infusion of whole plant taken by children for cold, diuretic, emetic, laxative, taken and rubbed on body for fever, taken and applied to head for headache, and taken and applied to neck for swollen throat. 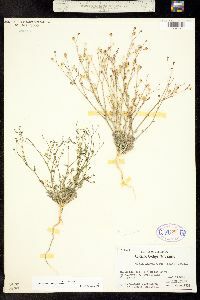 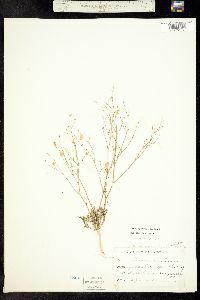 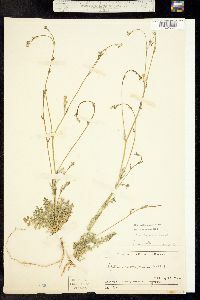 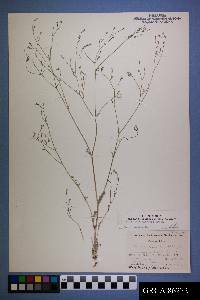 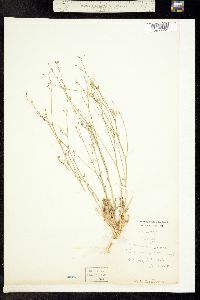 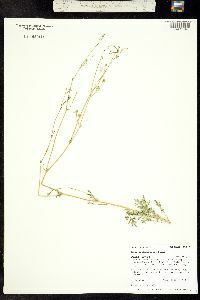 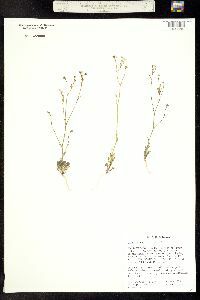 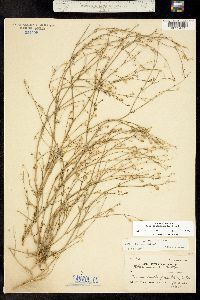 Synonyms: None Editor: LCrumbacher2012 Etymology: Gilia is named after Filippo Luigi Gilii (1756-1821), and ophthalmoides comes from the Greek ophthalmos, "eye," and the -oides suffix indicating resemblance.